DKIM stands for DomainKeys Identified Mail. DKIM creates a domain-level authentication framework for email by using private-key technology and DNS record to prove the source and content of a message. You can find general information about DKIM at http://dkim.org and the DKIM FAQs at http://dkim.org/info/dkim-faq.html . The first step is to allow DKIM signing. 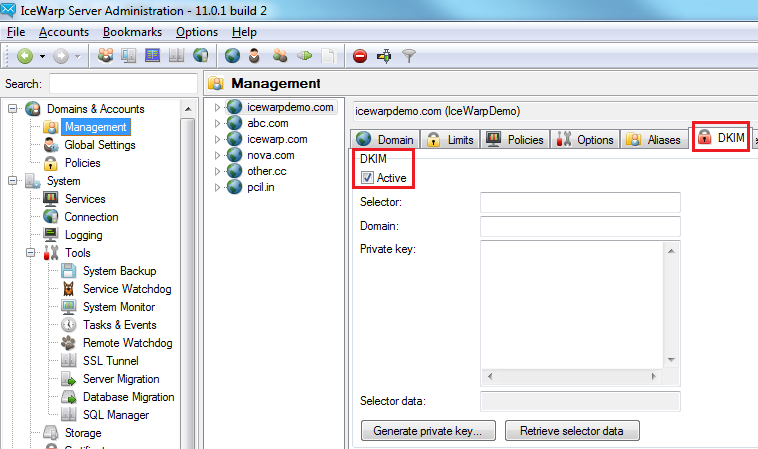 Using the IceWarp Administration console, enable the DKIM� option. 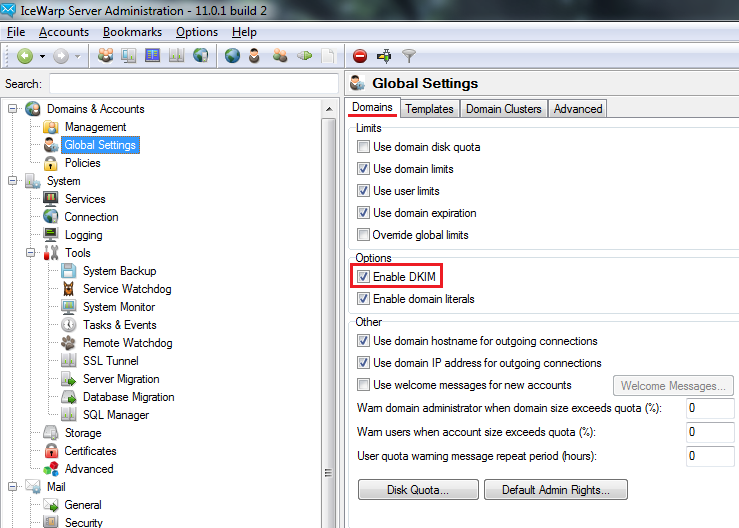 Navigate to DKIM tab and activate the DKIM feature. Enter a value in the Selector field; it can be any string you want. This value specifies the domain key used to sign an outgoing email. Also, enter your domain in the Domain field. 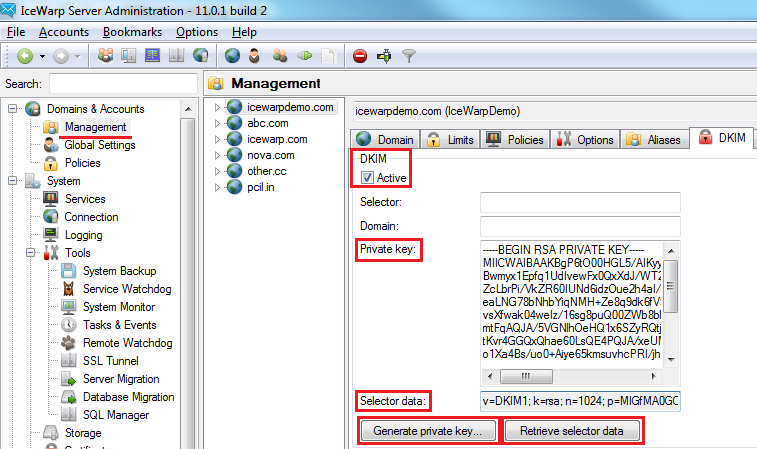 Create a private key by clicking the Generate private key button, it will use the default certificate to generate it. Click"OK" to generate the private key using use the default Bits length of 1024, this is needed to sign the messages. Click on �Retrieve Selector data� to populate the Selector data� field. You will need this string for your DNS record. Note: You'll have to wait about one day until the DNS record spreads across the DNS server structure. Now, every server which performs DKIM verification should be able to authenticate your signed emails.